Hellooo all my sweethearts♥ :3 It's unboxing beauty box time again! Long time never update about beauty box and now I'M BACK AGAIN!! 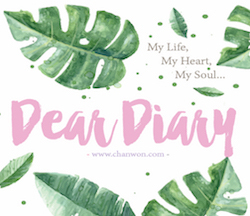 Really have to update more frequent but my blog post like never finish one! 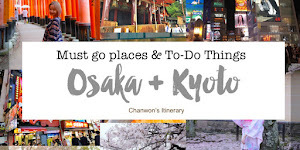 Lol too much to blog and I'm too talkative but it's really fun to talk with you guys especially I found that some of you actually have a same interest and hobby as me! It's so happy to know that and today I'm gonna share with all of you about Modbox.com.my . 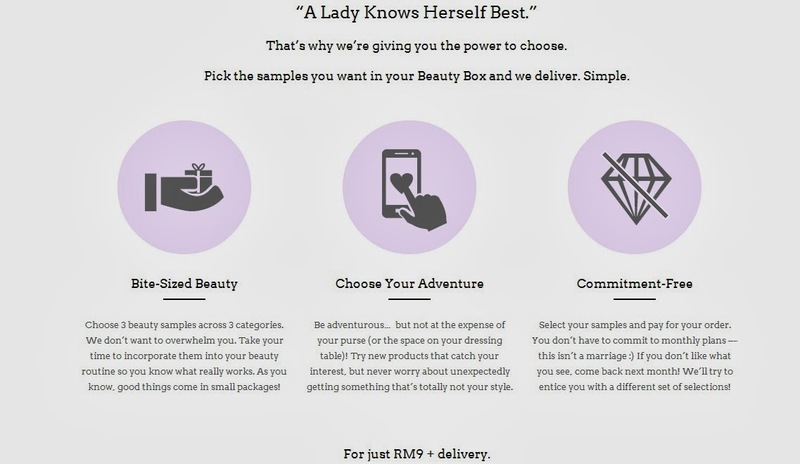 I'm sure you heard about this because they offered the CHEAPEST and best price of beauty box in Malaysia. HOW MUCH IS THIS? RM9♥ !! (Excluded postage) So it's basically RM9 + Postage! HOW CHEAP IS THIS? 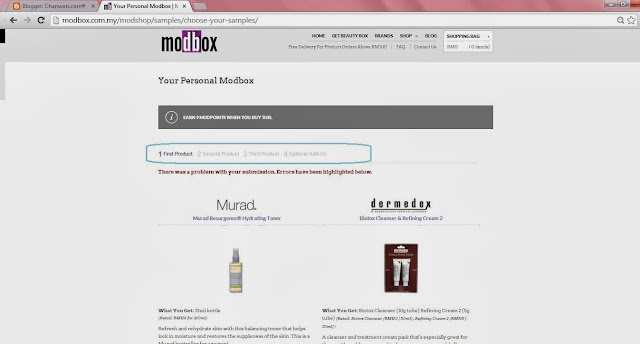 Before I start to review their beauty box let's see what's special about Modbox♥! 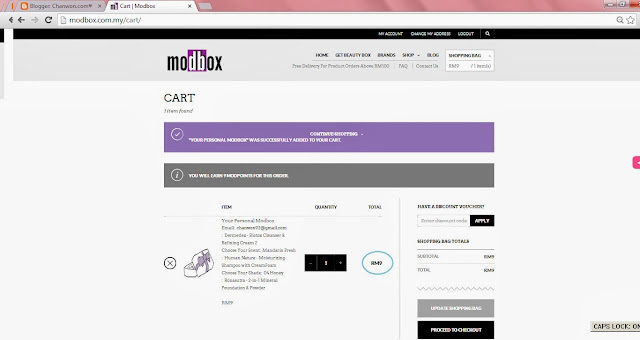 Woohooo I would like to try to get a beauty box from Modbox! I think it's how Modbox diff from others! You don't have to commit to monthly plans because this isn't a marriage?! HAHAHAAHH So cute of this. It's pretty much good if you actually can choose the sample items you want it and if you don't like it save your RM9 then wait for next month and pick the items you prefer again♥. So convenience. Since the day I start to receive monthly beauty box now I really can't stop myself from trying new product I like but this concept really good for every girl and I would like to say Modbox really have the cheapest price compare with the previous beauty box I received. Once you click on [get a beauty box] you will jump into this page which ask you to pick and choose 3-4 product in your choice. It break it into 3 process each process you need to pick one out of two/ three item in order to proceed to the next step. 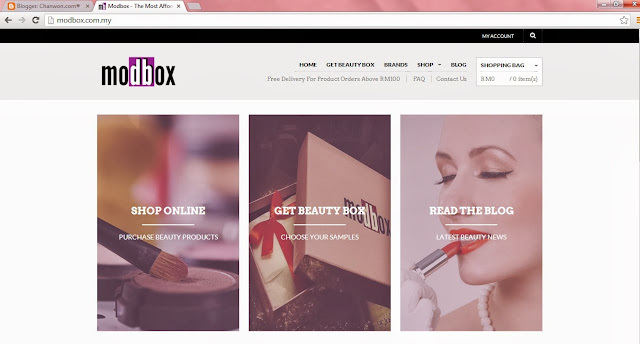 Then normally the last item is an optional add-on product which also involve in adding price for your beauty box. Take note the bottom tick box has state the add-on price. If you don't have any item you like or don't wish to add on then skip this step then your beauty box will remain RM9 if not you add on either one item the price will added on your bill when you check out your shopping cart. Okay!! 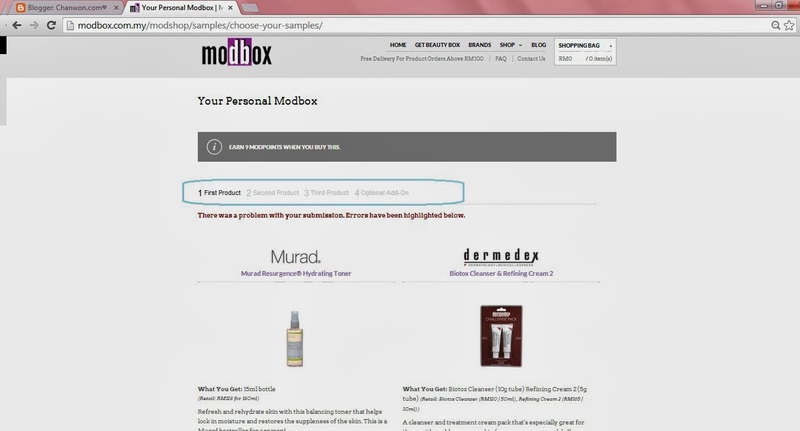 Is time to unbox my beauty box that I get from modbox!! MUAHAHAHAH So happy and I can't wait them to surprise me!! Not sure how much is this because I didn't get the price list of this item on the product description :'( But it's okay because most important I love every items included in this box :) So, this hand cream is suitable for those who have dry hands because it can instantly moisturizes and nourishes your hand especially those who always sitting in air - conditioned room. Is time to pamper your hard working hand with this vegan-friendly hand cream and I believe with this organic almond oil and organic Shea butter it works well for dry & cracked elbow or hand too! Remember to shake well before using it because it need to ensure that the natural oils and contents are well mixed together! Next item is the hydrating toner from Murad in Resurgence series. This is the best selling + hot item from within all diff range from Murad. It's super good in balancing and neutralizing surface impurities. The texture is so light and when you blend it on your skin it absorb quite fast since it's fully liquid form of toner. This toner also helps you in restoring your skin's suppleness to its former glory. You need to apply it all over your fast after your normal cleansing procedure. You can squeeze 5-8 drops on your cotton pad before putting any moisturizer or lotion. It's so refreshing on my skin and I really love it too but the scent is kind of special for me..Hmmm not sure how to describe it but compare with all previous toner the scent of this is totally diff from others. Turn to shampoo!!! It's special for rescue dry & damaged hair (like mine). This shampoo is so popular nowadays because it's all-natural , SLS-Free moisturising shampoo! I used this for 4 time in order to finish whole sample size of this and I really feel super good after just one rinse but because my hair is a little bit dry after I perm my hair and lazy go for treatment// Then I found that even I add on other's brand conditional it's can totally make me shock. My hair seems so smooth after that but have to add on additional conditional la.. The biotox cleanser I not really love to use it because I feel dry when I use this but still I'm loving the refining cream 2 . And that's mean I only use the refining cream while the cleanser I gave some of my follower :) I'm happy you guys actually read my boring post :'( and sent me a msg on it!! Thanks and appreciate I really hope it helps :)For the cleanser it helps to get a brighter complexion and you can get a soft and supple skin! 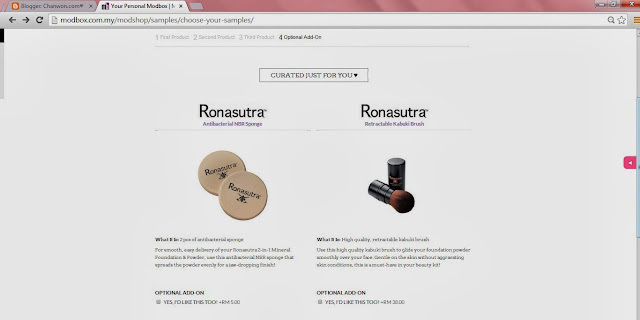 Just in my case i found that it's dry for me :D You might try it because diff skin type have diff result ya! To use : Use before refining cream 2 . Apply it onto a wet skin and work it into a light milky foam using your hand to massage around your face in circular motion. Refining Cream 2 is pretty awesome for my forehead pimple!! AHAHHAAH I share this with my bro last time too :) It's better to get him a new pack and now I'm gonna give this to him.!!! Hehe mine still haven finish yet lol I believe you know that this refining cream works super well in problem skin. It's combining chinese herbs and western technology to helps skin to clear acne and resist blackheads. To use: Apply it on your skin after your cleansed face. Concentrating on your oily area like T-zone or problem areas. It's more recommended to use with the cleanser but you can still use it without if you found that the cleanser is dry for your skin. I'm super excited when I try this 3 sample pack out because it seems like super new for me!! Again, it's natural-based body lotion and it's formulated with a dream team of hydrating ingredients (sweet akmond, avocado & jojoba oils) I love avocado it remind me of my BKK trip!! that RM4 per bottle of Avocado drinks :'( 3 of these ingredient can deeply moisturize and nourish your skin especially like my dry skin. I would like to say my skin turns so smooth after I applied. Normally lotion used to apply after your shower to lock in the moisture and gently massage to enhance the blood circulation on your body too! This ingredients involve sweet almond too like the previous body lotion I mention but this added on sunflower and lavender oil. The additional ingredients can help give our body vitamins A & E. Both vitamins can leave you a smooth and supple skin !! BABY SKIN!!!! I tried it on my leg and hand I can use it 2 time only but it's pretty much nice because it absorbs super quick and has a super nice lavender scent that can helps in relax my body & mind!!! Strongly recommend to lavender lover!!! To use: Apply a thin later after shower and remember to massage for a while. Last item!! Herbal bath and the price is same as the lavender oil. This healing bath treatment is special for those who suffering flu or allergies. (OMG FLUUUUU I HAVE SENSITIVE NOSE + RUNNING NOSE EVERY MORNING) Suit me suit me!!! The eucalyptus actually works as a natural disinfectant to clear congestion and that's why it's suitable for those who suffering flu and allergies!!! To use: Mid the entire contents of the sachet in a tub of warm water!! Recommended with warm water ya! not cold water pls~ Then enjoy a relaxing soak for almost 15-2 mins. I swear you will find your sinuses cleared and aches thoroughly soothed. Since it need a tub... *Faster run to my parent's toilet because my toilet don't have any tub inside :((((* This sample pack can only use one time~ Wanna grab this badly!! !